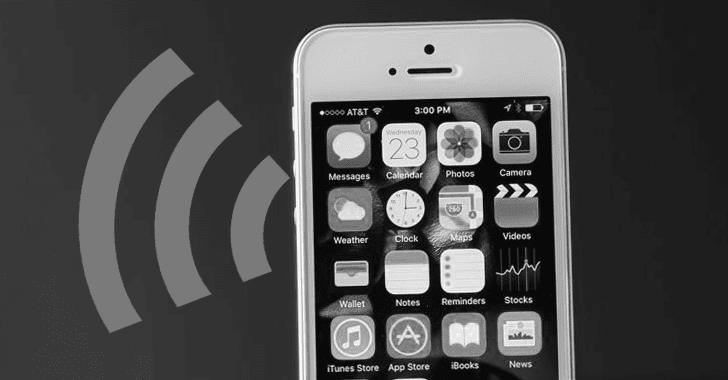 Gal Beniamini, a security researcher with Google Project Zero, has discovered a security vulnerability (CVE-2017-11120) in Apple's iPhone and other devices that use Broadcom Wi-Fi chips and is hell easy to exploit. The newly discovered vulnerability, which Apple fixed with its major iOS update released on September 19, could allow hackers to take control over the victim's iPhone remotely. All they need is the iPhone's MAC address or network-port ID. Beniamini informed WiFi chip maker Broadcom and privately reported this vulnerability in Google's Chromium bug-reporting system on August 23. Once his exploit executes, Beniamini was able to insert a backdoor into Broadcom chip’s firmware, which allowed him to remotely read and write commands to the firmware, "thus allowing easy remote control over the Wi-Fi chip." Once all done, "you can interact with the backdoor to gain R/W access to the firmware by calling the "read_dword" and "write_dword" functions, respectively." "However, some symbols might need to be adjusted for different versions of iOS, see 'exploit/symbols.py' for more information," Beniamini writes.